At Clearance London, we have spent a lot time and worked very hard earning and maintaining our reputation as the best in London when it comes to office waste clearance. Whether you need junk removed, or you are looking for the right company for office furniture disposal, we should be the only name you think of. We have been catering for the office clearance needs of the people of London for many years, and we have proven ourselves as not only providing the very best service, but also the best value for money you will find in the capital! Call us on 020 3795 9576 today for a free consultation, it won’t take you long to realise why everybody is talking to us! London is a city with an ever changing landscape. As one office block disappears, a new one rises up. With such a rapidly changing environment, it is the perfect place to upgrade your offices. When you move into your new office it is an exciting feeling, but it’s difficult to enjoy it when the rubbish that has been generated from your move and the junk in nooks and crannies that was left by the previous inhabitants are cluttering up your office space. That’s where our commercial clearance service comes in to save the day. We can tackle all of that unwanted mess for you, we’ll be in and out before you know it and your office will be left looking pristine, clear and perfect! We will take care of everything for you. We will come to your office, arrange and collect all of your waste, sorting recyclable materials where possible. We will then remove all of your junk and load it into our vehicles. 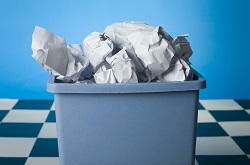 After that we will transport and dispose of all of your office waste. Many commercial clearance companies provide part of this service, in many cases you will be asked to sort and collect your rubbish yourself. We know that’s why you employed us, and we will take care of every step of the process so you don’t have to worry about a thing! All you have to do is lift up your phone, and dial 020 3795 9576. Then you can relax, safe in the knowledge that everything will be taken care of. When we say office clearance, we mean it. 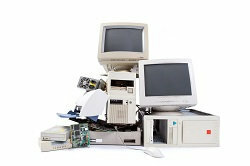 Whether it’s electrical equipment, office furniture, waste from building work or anything else that happens to have mounted up in your office without you noticing, we will dispose of it. No job is too little for us, and no job is too large, so whatever your necessity, call us today to talk to an expert and receive a free consultation. We are so confident that you will be 100% happy with our commercial waste disposal, that we offer a money back guarantee if you aren’t! You literally have nothing to lose, call 020 3795 9576 today and let us take all of your worries away!